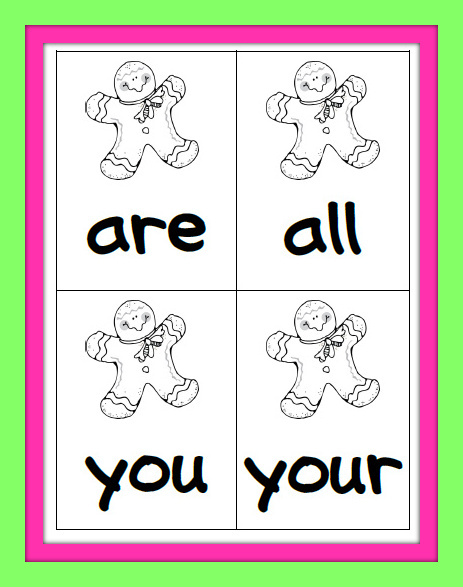 I have been busy planning another game to help reinforce Jolly Phonics Tricky words 1-20. Variety is the spice of life after all! I have yet to try out the games with my class but am dying to do so. I am saving them up for my Gingerbread Man unit. I though they were too cute to keep and decided to share them with you guys! All of these games are explained in my pack. I have created two for you to choose from: black & white or full colour. You choose! 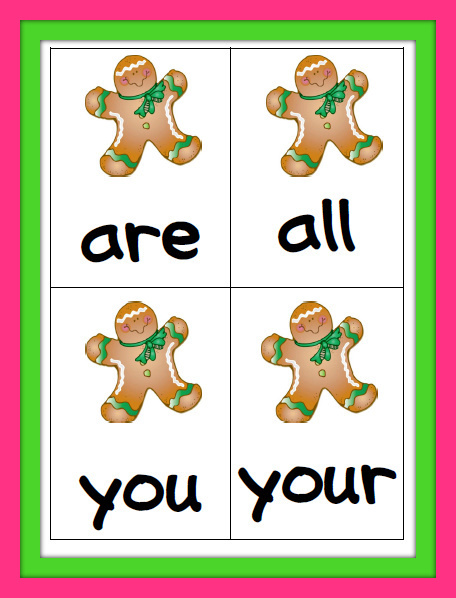 I hope that you have lots of fun learning and revising these Jolly Phonics Tricky words. Let me know that you think. I just love to get comments! Congratulations to the winners of my Subscribers draw!